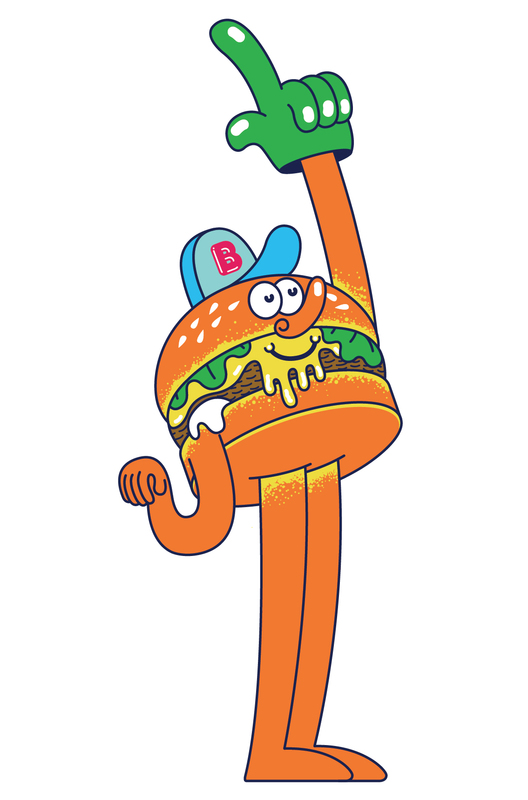 Welcome to Burgershackland is a collection of illustrations that were born out of Burgerac (aka Gavin Lucas) and Rob Flowers’ shared love for the hamburger. 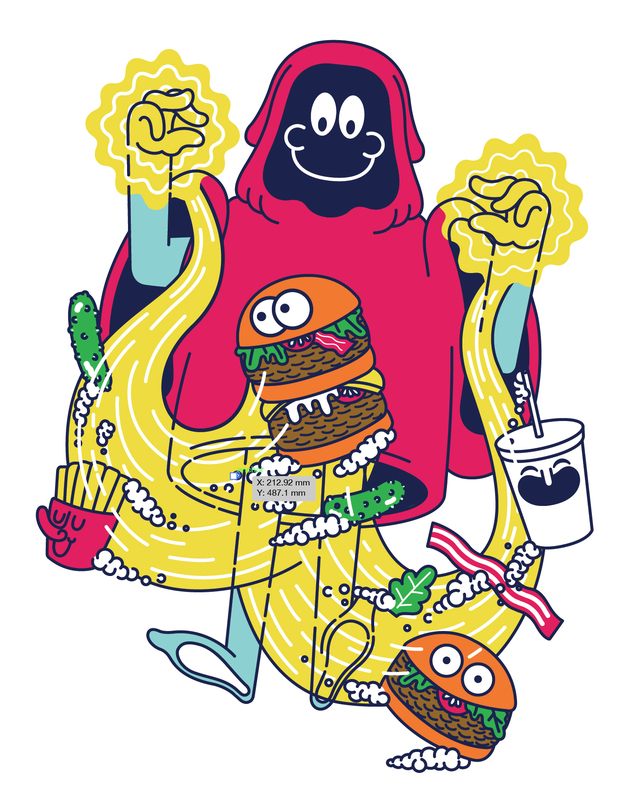 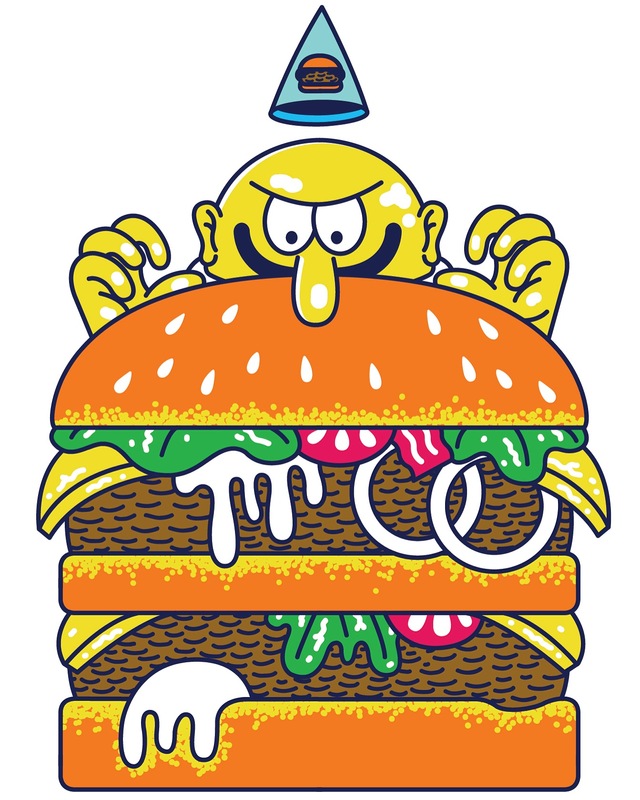 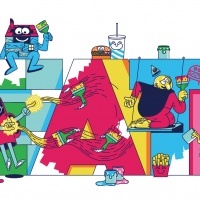 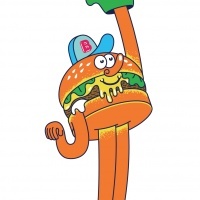 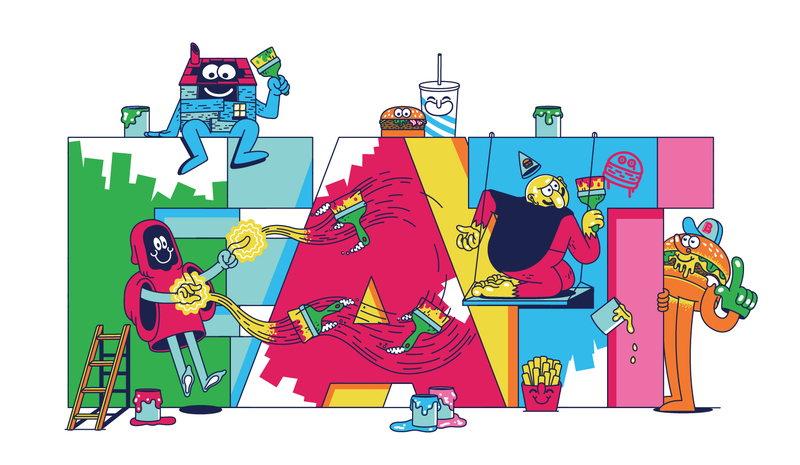 Illustrated characters including “a cape wearing burger fiend” and “a hooded wizard conjuring burger magic” are among the characters created for the brand identity of Burgerac’s Burgershack – a burger kitchen that operates at The Social and The Royal Oak pub. 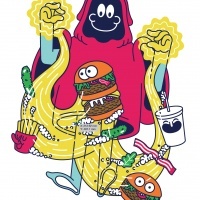 These illustration will be on exhibit at The Social from the 1st September to the 1st November. 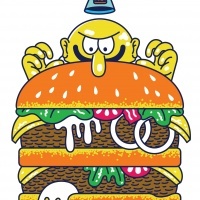 Patches, enamel pin badges, T-shirts and a whole range of burger-themed merchandise designed by the duo will also be on sale.